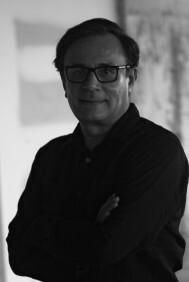 Iñaki Martínez (Guatemala, 1954) is the son of a Panamanian mother and Basque father (an exile and member of the Basque Brigade during the Second World War). With a degree in Law, he grew up and studied in Spain, and as a young man was a founding member of Euskadiko Ezkerra and a member of several anti-Franco political organizations in the Basque Country. He has spent his life between Latin America and Spain: he has been part of the international relations commission of the Salvadoran guerrillas and has developed international representation functions for the Basque government. He has also worked as an international policy columnist for several newspapers in the Basque Country, Panama, Mexico and Nicaragua. He is the author of Arresti, a novel about the relationship between ETA and the business world. For his La Ciudad de la mentira he was a finalist for the Nadal Prize 2015.